Benches, originally uploaded by pamhule. 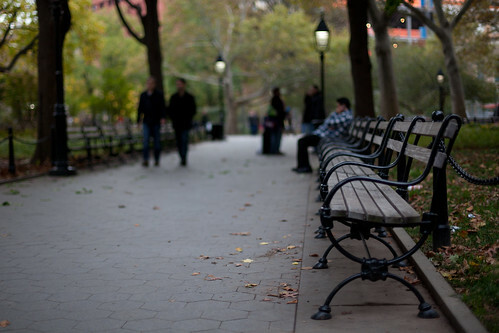 I spent an hour or so in Washington Square Park Yesterday and brought along a 50mm 1.4. I still have mixed feelings about the lens but like it for how light it is. You can view a few more shots from yesterday in this set on flickr..